If you believe in love at first sight, you’re in for a bit of a shock. 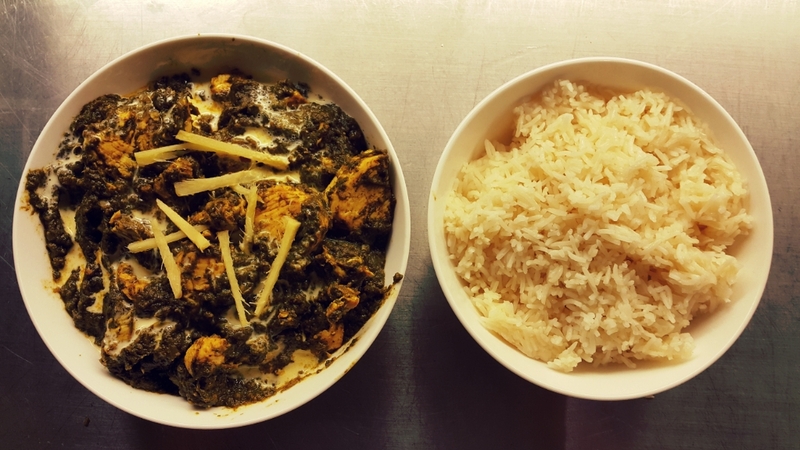 For the humble saagwala isn’t exactly the most attractive of curries. It looks more like something you’d find on a cow paddock in Waiuku than a fine dining Indian restaurant, and I have to admit I was more than a little tentative when I first came across it several years back. However, there is a very good reason it remains a favourite around in the world. Delightfully mild and creamy with a remarkably distinct flavour, it offers a welcome contrast to the powerful spice of, say, a vindaloo. It’s now one of my favourite curries and one of my first choices whenever I go out for Indian. Fortunately, former MasterChef Nadia Lim knows how to make a mean saagwala, so I had a go at her recipe. 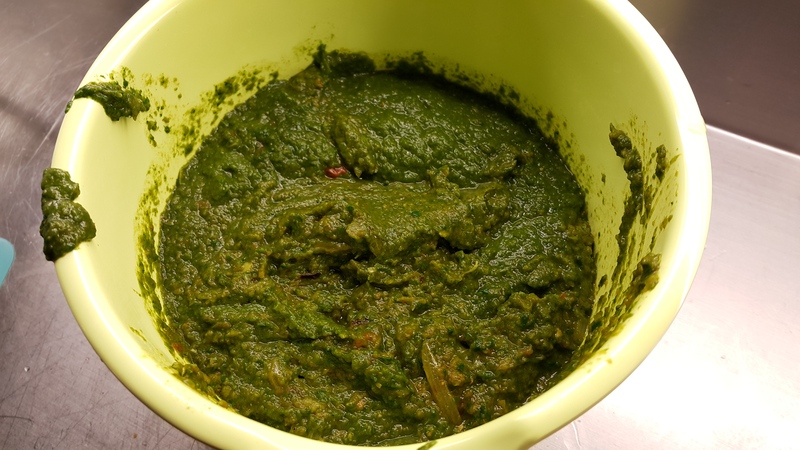 Spinach, canned diced tomatoes, onions, garlic, ginger, chicken breast, chilli powder, turmeric, ground cloves, cumin, garam masala, green chillies, lemon juice, fresh cream (optional). This is the first and probably the most fun step. Dunk the spinach in rolling boiling water for about 30 – 40 seconds until it is wilted. Keep a large bowl of ice water handy and dip your spinach in it as soon as you take it off the boil – this will help it retain its beautiful green colour. 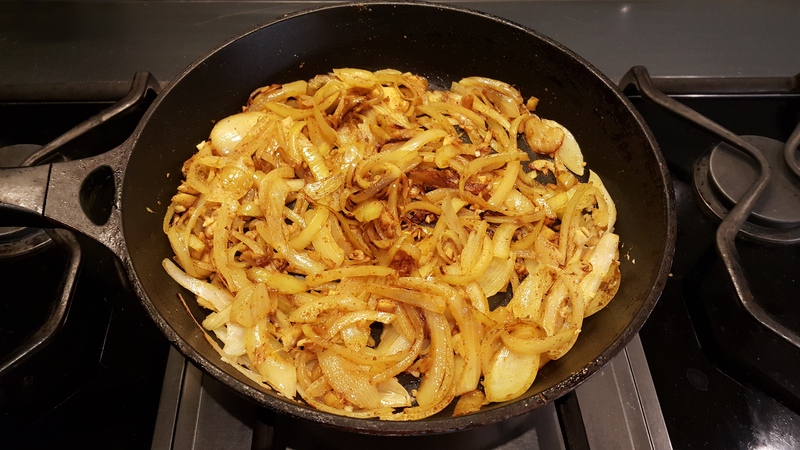 Fryin’ up those onions and spices. Look at that beautiful puree. Somewhere in the midst of that process, you need to find the time to cut the chicken breast into large-ish chunks so it’s ready to fry. 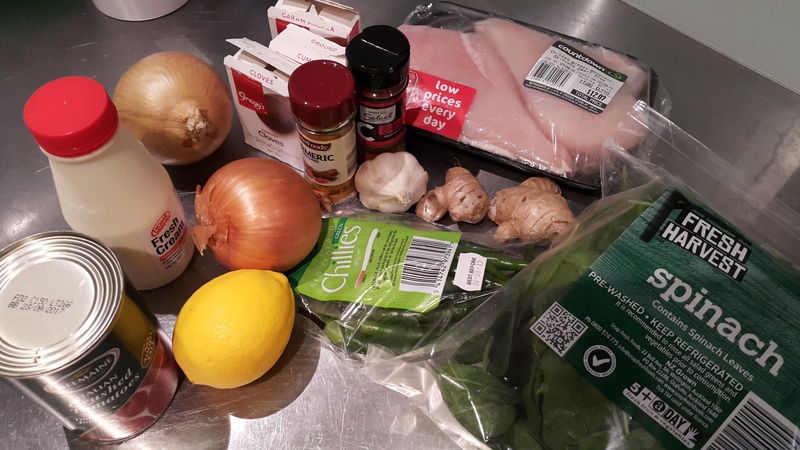 Once it’s been reasonably cooked, add the puree to the pan, throw in some garam masala and let it gently simmer until the chicken is completely done. The colour of the puree will start to change as soon as you add it to the heat, so make sure you don’t leave it in too long. As the last few steps, squeeze in some lemon juice and season with some salt and pepper if you wish. Transfer the curry onto a plate, drizzle some cream over it and add a few slivers of fresh ginger for a finishing touch. Overall, I was pretty happy with my first saagwala. It tasted quite different (not necessarily better nor worse) than the versions you find at restaurants, and while it didn’t carry the spicy kick I seek in a curry, saagwala is a dish best enjoyed mild. 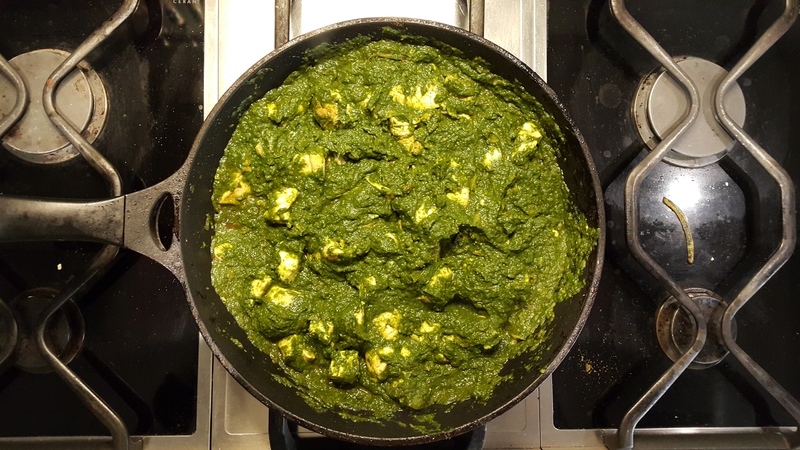 Maintaining the colour of the spinach can be a tricky balancing act, and the process starts the moment you begin to blanch it. Keep that ice water handy to stop the cooking process after blanching it, and don’t let it overcook in the pan. If it gets too dark, you can stir in some cream during the cooking process to lighten it up.